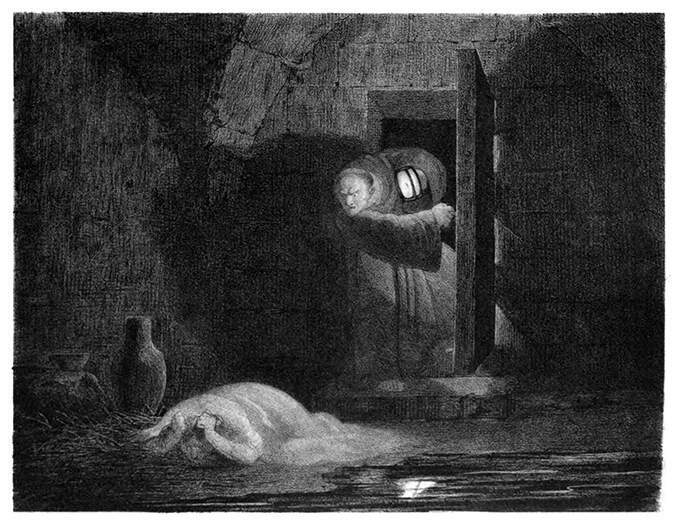 A tough-looking monk with a lantern in his hand stands at the door of a damp and dark dungeon and talks acrimoniously to a female prisoner miserably slumped on the floor. 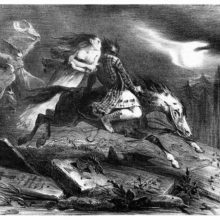 This lithograph illustrates a passage of Victor Hugo’s The Hunchback of Notre-Dame . 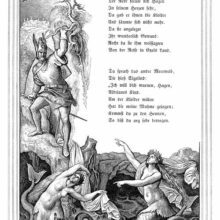 The caption reads in the original French: Je te dis qu’il est mort !